Instagram’s sale to Facebook earlier this month for $1 billion was the crescendo of the startup’s rapid rise and dominance in the mobile photo-sharing market. But within the Instagram universe lies another market -- small businesses allowing you to customize products using photos from your Instagram account. From flipbooks to T-shirts to posters, a myriad of websites have sprung up around the ability to turn your Instagram photos into physical or decorative mementos. Apart from creation, startups have also come up with new methods for browsing Instagram and sites where you can look at statistics and insights from your account. Consider it the Instagram Economy. 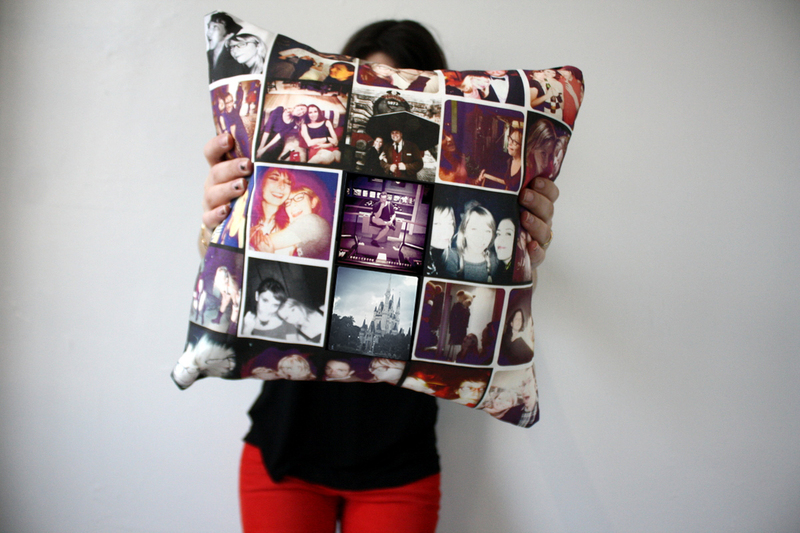 One such Instagram-inspired creation is Stitchtagram, a Washington, D.C.-based company that allows you to craft 15-inch throw pillows with photos from your Instagram account for $95 plus shipping. Stitchtagram is the brainchild of brother-and-sister duo Doug and Rachel Pfeffer. Doug works for Internet ad agency The Barbarian Group while Rachel leads Rachel Pfeffer Designs, a jewelry store. For Adrian Salamunovic, co-founder of CanvasPop.com, a site that blows up, prints and frames your Instagram photos, Instagram's user base of some 40 million people has been a fertile customer pool. "We could tell early on that Instagram was going to explode,” he said. “We knew we had to be the first company to allow this huge marketplace to print large images and we achieved that. Fast forward six months later and we've sold tens of thousands of prints to our fellow Instagram fanatics, with almost no advertising." Instagram’s clean, intuitive interface and easy access for third parties have allowed this secondary market to grow alongside the popular photo-sharing app. Apart from technical matters, Instagram photos are inherently practical for businesses printing and using the pictures. For CanvasPop, their printing extends beyond purely Instagram photos -- offering prints and canvases for SLR photos and even Facebook pictures. Pfeffer echoed that he was hoping to open up his pillow creation tool to Facebook photos to expand his audience and offer more variety in pillow creation for customers. With Facebook’s high-profile -- and high-priced -- purchase of Instagram, there has been a ton of press and a flood of new users using the application. With the release of the app for Android and the big news of the purchase, Instagram added more than 10 million users in only 10 days, bolstering its user base to 40 million strong. “One reason a lot of people, including me, like Instagram is because it seems like it’s more of a closed network of people you’re interacting with,” Pfeffer said. “As far as business goes, more people is never a bad thing." Close up of a Stitchtagram pillow.